Specializing early increases burnout and reduces chances of success. There are many reasons why parents should make sure their kids don’t specialize too early. 88 percent of college athletes played more than one sport when they were kids. Experts agree kids go further when they play different sports. 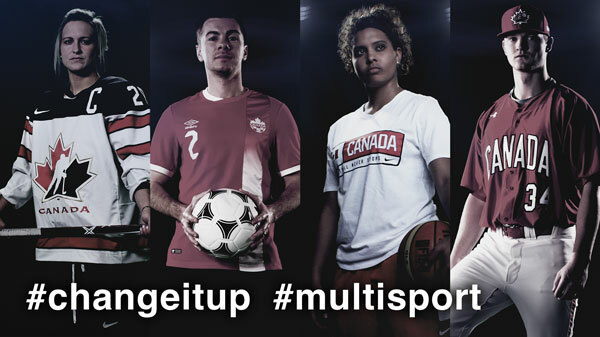 Send an email to your child’s coach or teacher explaining what multisport means and linking them to this site. Note: If you use Gmail or other webmail, simply copy our email text and paste it into your own webmail. Are you involved with your child’s school or local sport club? Pin this poster on the notice board, or pass around copies as an information handout. Click on the icons above to share a link to this website on Facebook, Twitter, or Pinterest. The multisport approach is about getting our kids to play a greater variety of sports through the year, rather than specializing in one sport at too young an age. Experts in coaching and sport science around the world agree that the multisport approach helps kids to develop better skills and confidence than early specialization, and they have a lot of science to back it up. Evidence shows that multisport kids tend to go farther in their favourite sport when they finally specialize, and they have less risk for injury and burnout. The idea of multisport makes total sense to me, and I am very much in favour of it for our kids. Do you know why kids drop out of sports? Do you know when kids should specialize? Take a minute to check your knowledge of the facts about children’s sport and activity. We would like to thank the Canadian Olympic Committee for their financial support in making this possible.